Kolb Experiential Learning Theory research papers on the organizational behavior theory. Beginning a research paper isn’t easy. Paper Masters suggests you start by noting there are several learning theories that discuss different reasons why people act a certain way in certain situations. One example of a learning theory is Kolb's experiential learning theory. 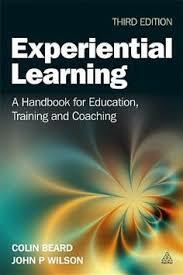 The theory states that there are mainly two learning dimensions, concrete/abstract and active/reflective. Kolb's theory states that although every person has a favorite learning style they are able to use all styles that are offered to them. The theory is based on the fact that some people prefer to learn from concrete facts while others prefer to learn through the theoretical. Kolb's theory translates into the workplace very nicely. For part of the theory is based on the fact that individuals choose their profession based on the type of learning style they prefer. However, Kolb maintains that even though certain people prefer to be in certain professions and have more longevity in an occupation that suits their learning style; not all people with the same learning style are going to be the same profession. Overall, Kolb's theory stresses the point that with all the different learning styles, people are able to utilize them all, but are more effective when using the one of their preference. Therefore, making the importance of a manager to understand and learn the different leaning styles of his or her employees that much more important. Constructivist Learning Theory - Constructivist Learning Theory research papers discuss constructivism as a learning theory. Adult Learning Theories - Adult Learning Theories research papers discuss theories such as Malcolm Knowles theory of andragogy. Social Learning Theory - Social Learning Theory research papers on child development studies and theories in psychology. Cooperative Learning Theory - Cooperative Learning Theory research papers explain the theory as a direct system controlled by the instructor and designed for the success of students. Bandura's Theories - Bandura Theory Research Papers discuss Bandura's research on social learning theory. Albert Bandura Theory - Albert Bandura Theory research papers discuss the steps that need to be taken to forward a comprehesive understnding of how children learn. Differentiated Learning - Differentiated Learning also known as differentiated instruction, is part of an educational philosophy reversing the traditional direction of fit in education. Learning Style Inventory Elementary - Learning Style Inventory Elementary research papers look at how to determine a student's learning style. Visual Learning Style is the most commonly used teaching style in a classroom environment. Paper Masters writes custom research papers on Kolb Experiential Learning Theory and on the organizational behavior theory.